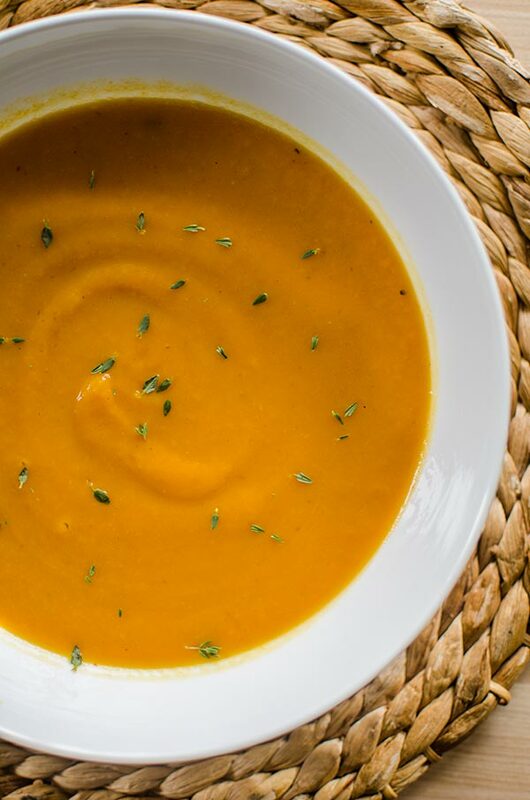 Roasted carrot and fennel soup with thyme, cumin and freshly squeezed orange juice is the perfect winter soup to make this season. 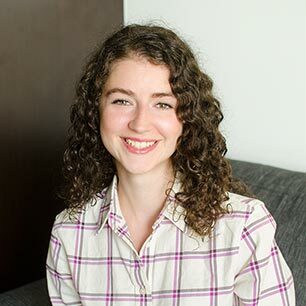 Over the years I’ve found that people are more likely to focus on local foods in the summer, when there are plenty of berries, peaches and herbs to be found at your local farmers market, but what about the other eight months of the year? That’s the void this soup fills, it’s loaded with local produce that can be found during the winter; carrots, fennel, potatoes, citrus and garlic. I’ve been talking about this since July, but I’ve been slowly working my way through the classic cookbooks (I love this list of must-read cookbooks from the New York Times). I like to use cookbooks the way that you would a textbook in university, something to learn from and reference. I don’t really cook with cookbooks in a traditional sense, I read them more like novels. Now the truth is, my apartment is pretty small so cookbook storage is minimal. Sure, I have all of my favourites with me, but I’ve been using my Kindle pretty much constantly for reading older cookbooks. 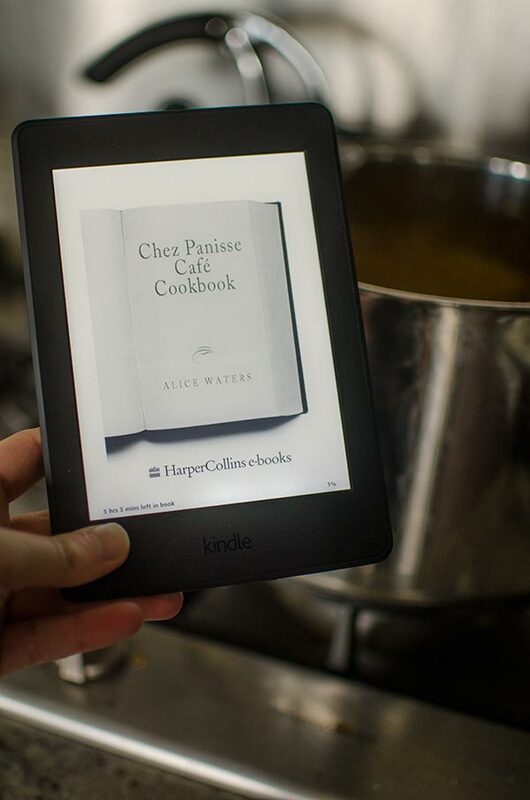 As a complete book nerd, I’ve been using an e-reader for the past five years, so using one for cookbooks just makes sense. I love that it’s especially great for the older, classic cookbooks that don’t have many photos–and I love that I can store more cookbooks than I will ever have space for. These older style cookbooks are the ones that I cherish, they are such an invaluable resource. The first book I downloaded was, obviously, my current obsession the Chez Panisse Cafe Cookbook. And while this recipe for roasted carrot and fennel soup isn’t directly inspired by a recipe I read in the book, it’s inspired by the style of cooking that Alice Waters pioneered, the farm-to-table movement, ‘California Cuisine’. Her recipes also really take into account the importance of building flavour. That’s why this soup has two steps, first the carrots, fennel and potato are roasted and then pureed with water. If you find yourself interested in cooking locally sourced, high-quality ingredients I think you’ll find Alice Waters’ work particularly inspiring. There’s something special about respecting the integrity of ingredients in your cooking and recipes. The only ingredient that won’t be local at this time of year is the fresh thyme, but in this recipe, I wanted to use fresh them to get it’s more subtle, delicate flavour than the stronger, grassier notes found in dried thyme. This soup is mildly spiced from chili flakes and cumin, it’ the kind of spice that subtly tickles the back of your throat. I wanted to keep this soup vegan, but you could definitely stir in a little cream to finish it off, if you wanted. On a large rimmed baking sheet, toss carrots, fennel and potato with garlic cloves in 2 tbsp olive oil, 1/2 tsp salt, fresh thyme, chili flakes and cumin. Roast for 45 minutes our until caramelized and tender. In a large pot, add vegetables and water. Bring to a boil. Puree in a blender or with an immersion blender. Stir in orange juice and remaining 1/2 tsp salt. Serve with more fresh thyme leaves as a garnish. Disclosure: Amazon provided me with a Kindle, as always, all opinions are my own. 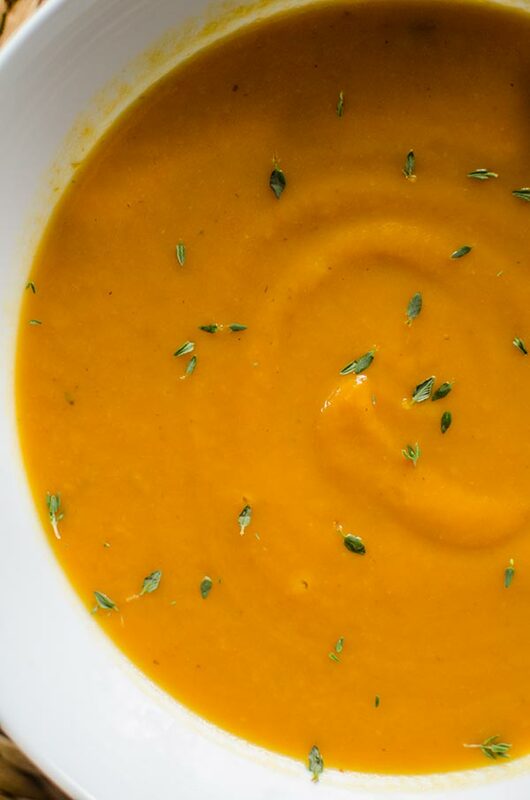 Thank you for supporting my sponsors and allowing me to continue creating recipes like this roasted carrot and fennel soup.